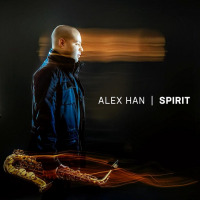 Saxophonist and composer, Alex Han, is widely regarded as the Young Jazz Lion of his generation. With performances at well over a dozen internationally recognized Jazz venues, countless musical awards, and a refreshingly original sound, he is fast becoming one of the most influential young players to enter the scene. Han began his musical journey at the tender age of eight, when his parents encouraged him to study the alto saxophone. Soon thereafter, his innate musical ability began to emerge and by age twelve, he was one of two national recipients of the VSA arts, Young Soloists Award. Around the same time, he was invited by Grammy Award Winning saxophonist, Paquito D'Rivera, to sit-in with him at a Jazz at Lincoln Center performance for two nights. A year later, he was asked to perform at the 2001 Festival Internacional de Jazz de Lapataia in Punta del Este, Uruguay. There, the thirteen year old student cut his teeth alongside such Jazz Masters as Paquito D'Rivera, Joe Lovano, Lewis Nash, Slide Hampton, Johnny Griffin, Kenny Barron, Jon Faddis, Nicholas Payton, Dave Valentin, Claudio Roditi and Antonio Sanchez. In the years to follow, he would go on to perform with such Jazz luminaries as Marcus Miller, Joey DeFrancesco, George Benson, James Moody, Kirk Whalum, Oscar Peterson, Rufus Reid, Ken Peplowski, Terry Lyne Carrington, Brian Lynch, Akira Tana, Gerri Allen, Shelly Berg and Walt Weiskopf. 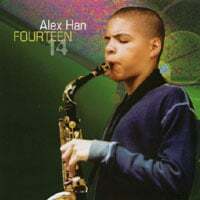 By age fourteen, Han recorded his self-produced, debut release, Fourteen which received airplay from NPR and European Jazz stations. That same year, he was a recipient of the 25th Annual Down Beat Magazine, Student Music Awards. In the ensuing year, at the age of fifteen, he was selected as a semi-finalist for the White Foundation World Saxophone Competition (contestants were up to the age of thirty) held at the 2003 Montreux Jazz Festival in Switzerland. By age seventeen, Han won the17th Annual Yamaha Young Performing Artists (YYPA) Competition for saxophone which is designed to provide early career recognition for outstanding young musicians in the United States. He was also selected for an alto chair on the 2005 Monterey Jazz Festival Next Generation Orchestra. In May 2005, Han was once again a recipient of a Down Beat Magazine, Student Music Award. By the end of that year, he was selected for an alto chair on the 2006 Gibson/Baldwin GRAMMY Jazz Ensemble and a few months later, won a 2006 ASCAP Foundation Young Jazz Composer Award. In March 2006, at eighteen, Han signed with Rico Reeds(a division of J.D'Addario & Co.) as their youngest artist endorsee. A month later, he was awarded theBerklee College of Music Presidential Scholarship. All About Jazz musician pages are maintained by musicians, publicists and trusted members like you. Interested? Tell us why you would like to improve the Alex Han musician page.